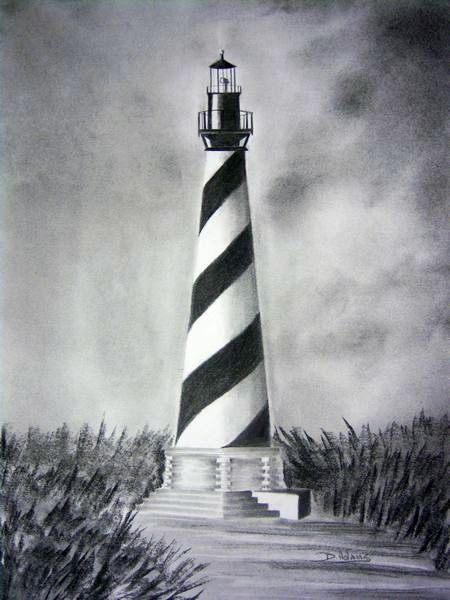 This Cape Hatteras Lighthouse graphite drawing, created with Derwent products, was commissioned by Derwent Cumberland Pencil Co. for the illustration of their products at the Paperworld exhibition held in Frankfurt, Germany Jan-Feb 2009. Thank you, Novroz. This drawing is one of my favorite artworks. It’s the one that got my name on the Derwent’s Graphite package. It is a very nice drawing, and a great subject for a graphite drawing. I guess that’s why they chose you to draw it!